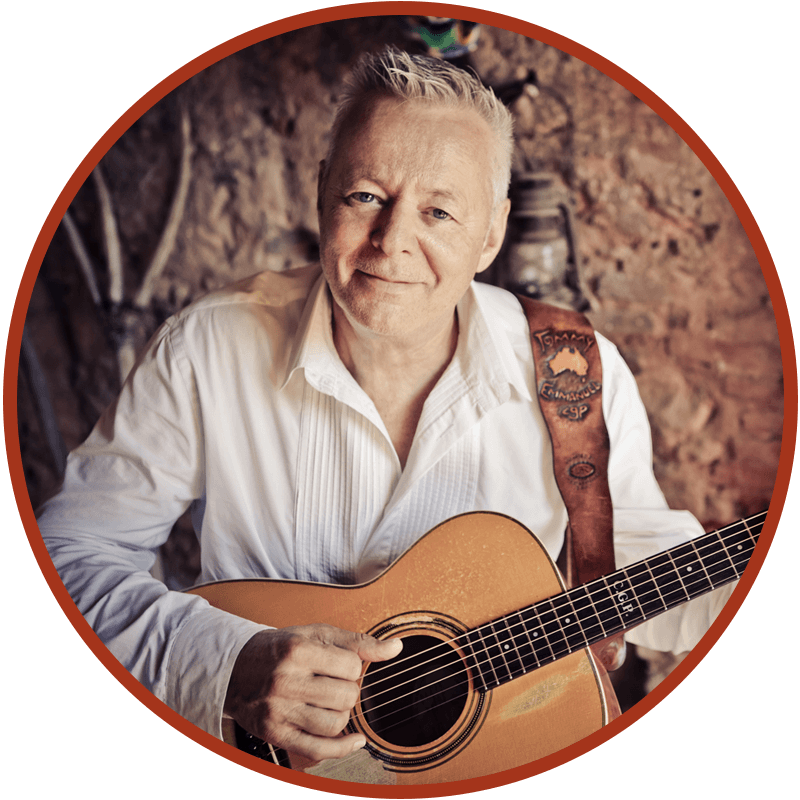 Tommy Emmanuel Guitar Camp Scotland is a 4-day event for players and music-lovers of all ages, levels, interests, and taste! Whether you are a master player, a beginner, or just an enthusiastic fan, our four-day programs offer activities and workshops for you. Our environments are non-competitive and are strictly about immersing oneself in the joys of music and our lovely surroundings! “I’d like to personally invite you to join me at the Tommy Emmanuel Guitar Camp in Scotland. “This will be my very first camp in Europe, and I personally can’t wait. 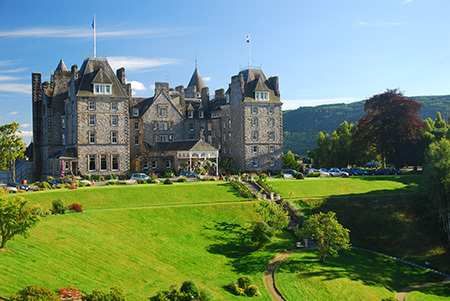 We’ll be staying at a castle called Atholl Palace in Pitlochry May 11-15, 2018. It’s going to be unlike anything I’ve ever done. Fans have been asking me to do one of these events in Europe for so long. We checked out a ton of spots, but Scotland really spoke to us. “First of all, there’s Atholl Palace. It’s literally a castle! It’s the perfect space for us to enjoy the country and the guitar. You’re going to see a countryside and way of life that’s so beautiful and different—even from Europe. During that time of year, Scotland is just breathtaking. It might be a little cold, but it won’t be freezing. You’ll undoubtedly have a lot of great photo opportunities of this incredible place. “As far as the days go, we’ll start off by linking up over breakfast. Every morning, I’ll host a two-hour Q&A where you can ask me any and everything. I answer questions, talk about my experiences, and give tips. We’re going to be a big happy family by the end of this thing. That’s one of the aspects that I really love about hosting these. “Next up after breakfast will be the workshops and lessons. I’m inviting some amazing players along to join us, namely Richard Smith and my fellow CGP – John Knowles. Each guest has his own style and story that he can’t wait to share. I learn something from these guys every time I’m around them, so I’m equally excited! Of course, we’ll be putting on our nightly concerts too. “Musically, I wanted to do something different. At this one, we’re going to teach a little bluegrass as well as some of my songs. Bluegrass is Celtic music. If you go back in history and listen to the early style before it was called “Bluegrass” as we know it today, it originated in this area as “Mountain Music.” That’s why a lot of fiddle tunes have that sound. “It’s not just about me demonstrating songs (which of course you’ll get), but I’ll also share various techniques and exercises to improve your technique and smooth out arrangements. My goal is always to give attendees the tools to make themselves better players. You have something to take home. That’s a big focus for me. “Ultimately, it’s all about having an amazing time together. The thing about these camps is they’re life-changing. “My goal is for everybody to take away something unforgettable. It’s that experience. It’s a new way of doing things. It’s a new way of seeing things. Everything comes from hanging together, learning from each other, and playing from a pure point-of-view. “We’re here because we love to play! That’s what it’s all about. I can’t wait to see you all in Scotland in May. This year all workshops, concerts, and meals will take place at Atholl Palace. Guests who want an upgraded experience have the option to stay at Fonab Castle. Guests who stay at Fonab Castle will be ferried to Atholl each day for workshops, concerts, and more. To get a better idea of which castle you want for you Scottland experience, check out Atholl Palace and Fonab Castle. Scotland has been so good to me over the years. I’ve played in the country a few times, and I can’t wait to get back. There’s no place like it. 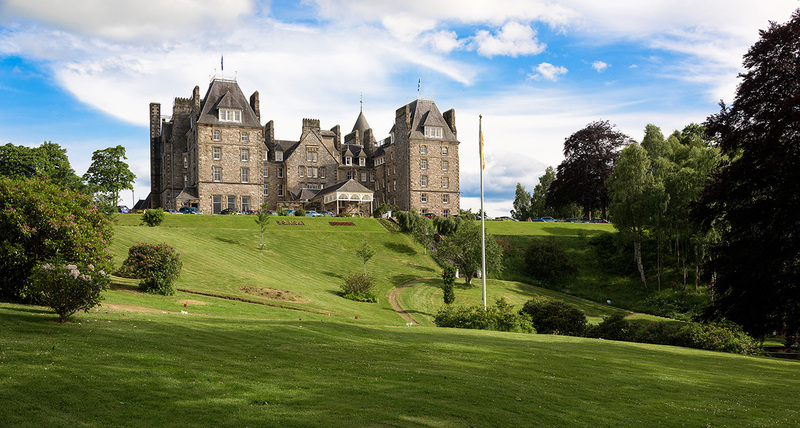 The historic nature of the Atholl Palace Hotel means that every room is unique, with quirky original features, however, the truly outstanding feature of almost all our rooms is the view. Every bedroom is furnished to the highest standards with more than just the comforts of home. Fonab Castle brings together a captivating past and luxurious present, making it something very special in the heart of Tummel Valley. Surrounded by breath-taking Ben Vrackie and awe-inspiring Loch Faskally, it boasts commanding views of the stunning Scottish Highland scenery. This year all workshops, concerts, and meals will take place at Atholl Palace. 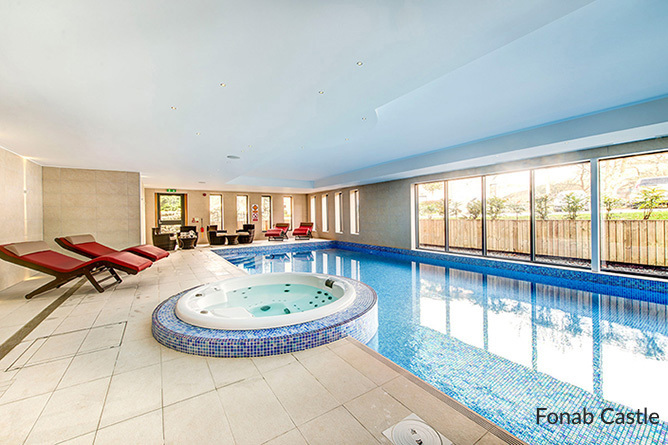 Guests who want an upgraded experience have the option to stay at Fonab Castle. Guests who stay at Fonab Castle will be ferried to Atholl each day for workshops, concerts, and more. To get a better idea of which castle you want for you Scottland experience, check out Atholl Palace and Fonab Castle. Both hotels include a full range of activities including – but not limited to – Land Rover tours, hiking, horseback riding, whiskey tours, and more. You can check the hotel websites for more information on booking these activities. 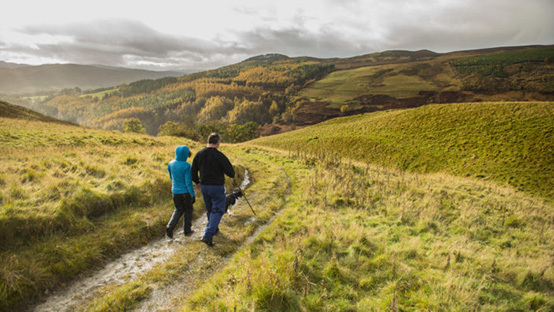 Hike through the Black Spout Woods to its beautiful waterfall, take a dreamy stroll to Queen’s View, or wander through the town of Pitlochry and explore artisan shops. 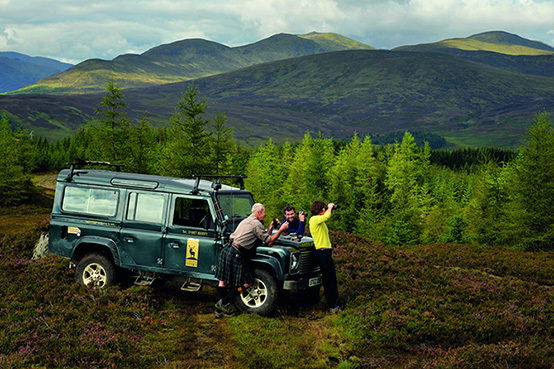 Get lost in the beauty of the Scottish Highlands in Pitlochry. Both hotels include a full range of activities including – but not limited to – Land Rover tours, hiking, horseback riding, whisky tours, and more. You can check the hotel websites for more information on booking these activities. THIS YEAR ALL WORKSHOPS, CONCERTS, AND MEALS WILL TAKE PLACE AT ATHOLL PALACE. Tommy Emmanuel Guitar Camp Scotland schedule will be announced in the spring. Below is a sample schedule of what you can expect at this camp.Our schedule will include workshops and Q&A during the day then concerts and jam sessions in the evening. Check back for updates! OPEN MIC PERFORMANCES WILL HAPPEN EACH NIGHT ALLOWING PARTICIPANTS TO PERFORM EACH NIGHT. PARTICIPANTS CAN SIGN UP FOR OPEN MIC PERFORMANCES EACH DAY IN THE DINING HALL. The Guitar Camp Scotland Schedule is subject to change. You will be provided with an updated schedule upon check-in. Also, we will post the daily schedule in the dining hall in case there are last minute changes. 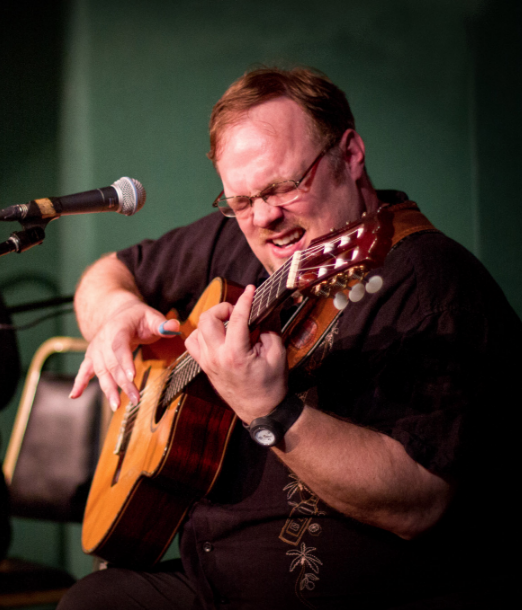 John Knowles has worked with the world’s finest fingerstyle and classical guitarists including Chet Atkins, Jerry Reed, Lenny Breau, Tommy Emmanuel and the Romero Family. John’s Gorilla Song (co-written with his son Jay) is an international hit with recordings by Raffi and XUXA. 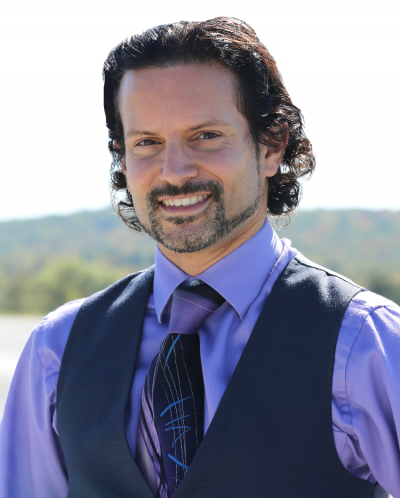 John is a highly regarded teacher, known for his publications and workshops including a recent Artist Residency at Berklee College of Music in Boston. 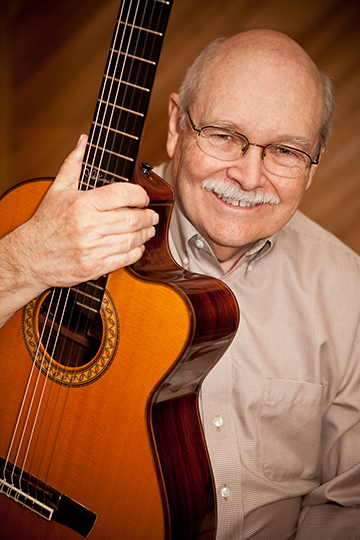 Thousands of guitarists around the world are learning from his publications including his FingerStyle Quarterly. John’s work has won a Grammy and two Emmy nominations. In 1996, Chet Atkins awarded John the first Honorary CGP (Certified Guitar Player) degree and in 2004, John was inducted into the National Thumb Picker’s Hall of Fame for the second time. John earned his PhD in physics from Texas Christian University in 1968. 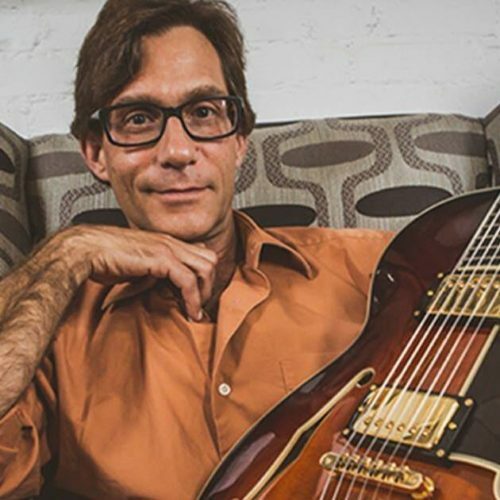 With over 1000 engagements in the last five years alone, Frank Vignola has become one of the most popular and sought-after guitarists on the international music scene. His dynamic genre-spanning music has brought him to 14 countries on three continents – and still growing – performing in some of the world’s most illustrious venues, including the Sydney Opera House in Australia, Carnegie Hall, The Palace of Fine Arts in San Francisco, New York’s Lincoln Center and the world’s oldest indoor concert hall, Teatro Olimpico in Vicenza, Italy. Vignola has recorded over 30 CD’s, 7 DVD’s and has been a guest on hundreds of recordings. Vignola has written over 18 music books for Mel Bay Publications. He has also produced 15 full-length video teaching courses for TrueFire for all levels. His on-line One on One private lessons and workshop courses continue to thrive with hundreds of enrolled students. He conducts clinics, masterclasses and workshops at Music Universities across the globe, most recently coaching guitar ensembles at The Juilliard School of Music in New York City. This year all workshops, concerts, and meals will take place at Atholl Palace. 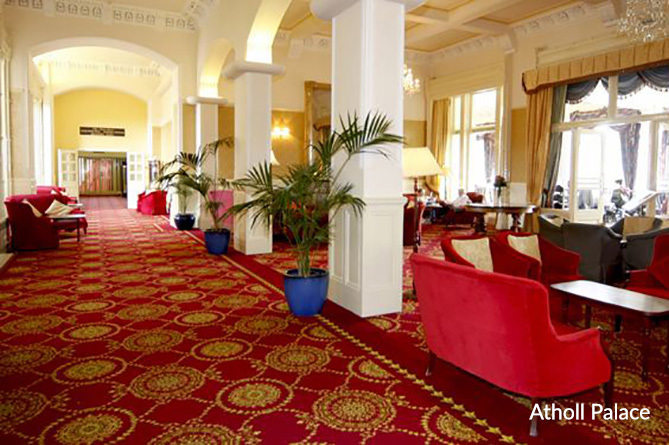 All participants will check in at their hotel and will meet at Atholl for all activities. Specific directions for Fonab guests will be sent out prior to camp. If you would like to arrange a car service from either a major city in Scotland or the airport we suggest arranging transportation with Yule Transportation. Below is their contact information as well as pricing. Approaching Pitlochry from the South, take the A924 (signposted for Pitlochry) off the A9. After passing the Blair Athol distillery, on your right, continue under a railway bridge and turn right into the Atholl Palace entrance. From the north , take the A924 (signposted for Pitlochry) off the A9. The A924 is the main street through Pitlochry. Continue right through the town and turn sharp left just before the railway bridge. The following are some of the car rental companies that service the Edinburgh area. 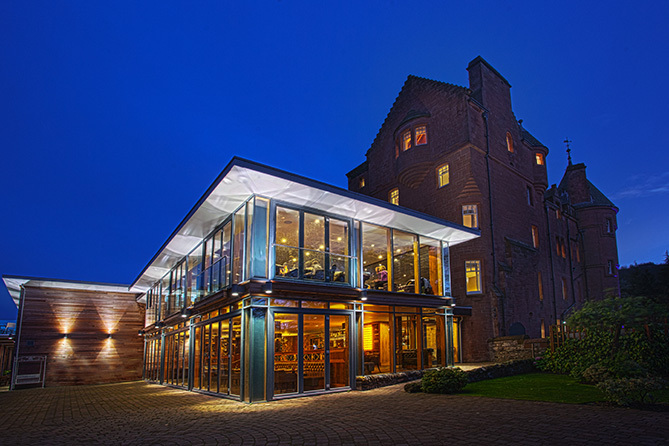 This year all workshops, concerts, and meals will take place at Atholl Palace. 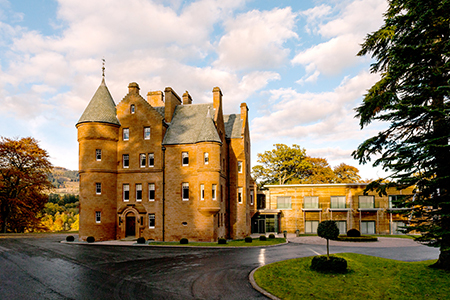 Guests can choose between staying at Atholl Palace and Fonab Castle. For guests who want a more deluxe experience, we are offering rooms in Fonab Castle. Guests at Fonab will be ferried over every day for workshops and concerts. A Standard Room with two beds and a roommate. 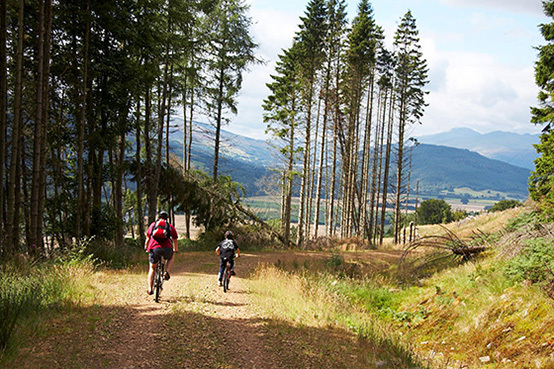 Fonab is located one mile from Atholl and a ferry will bring you back and forth for activities at Atholl. Pricing is per person. Pricing in British Pounds £1,523.24. All rates are per-person unless stated otherwise. All rates are subject to 8.9% surcharge, which includes credit card processing and administration fees. 100% of the remaining balance due on installment sales is automatically charged to the credit card on file on April 15, 2018. Any registrations received after April 15, 2018 must be paid in full at the time of registration. Pricing is listed in US Dollars and British Pounds. The exchange rate is current as of October 2017. Your decision to register for Guitar Camp Scotland constitutes your acknowledgement of and consent to all of the registration, payment and cancellation terms and conditions listed below. Dreamcatcher Events, LLC reserves the right to use photos and videos taken during Guitar Camp Scotland, including photos that include the images of any attendees, and to use such photos for advertising and marketing purposes. I hereby release Dreamcatcher Events, LLC, its employees, managers, vendors, owners and all associated entities, from all claims, liabilities, loss to property, damages, injuries, etc. arising out of or in connection with my purchase and/or participation in any aspect of Guitar Camp Scotland. Tommy Emmanuel's Guitar Camp Scotland Is Complete!! 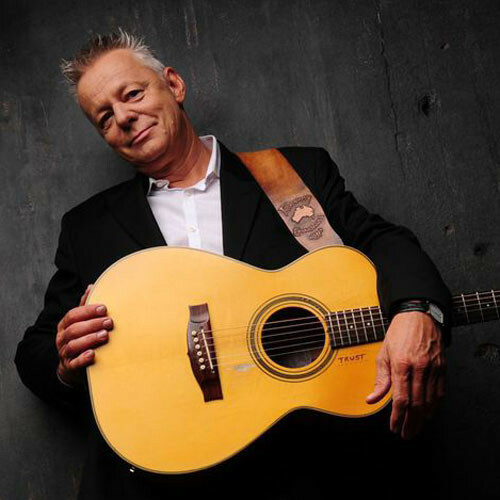 Sign up for updates on future Tommy Emmanuel Events!